All right, I couldn’t help myself with that headline. 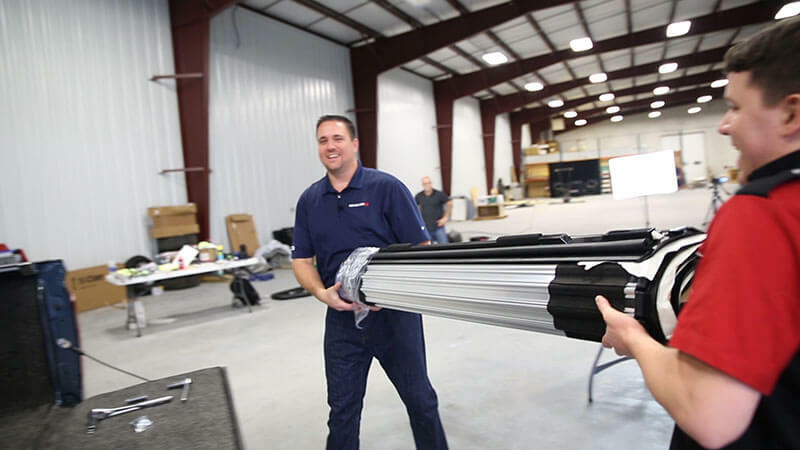 My failed attempt at cleverness aside, there probably aren’t many such phrases that VP of Sales Ryan Herman and Director of Sales – East Chris Fleeman from BAK Industries haven’t heard. When they dropped in to see us last week for a vendor strategy meeting, however, we hoped to share some new information they’d find of interest. Turns out they had some to offer as well. 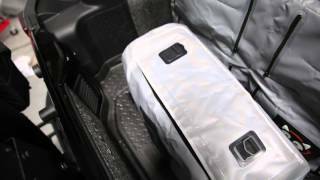 With ramped-up manufacturing to meet increasing demand, a reinvigorated customer service team, and fantastic truck covers on the rise, BAK Industries is one to watch in the tonneau segment. In addition to taking in our standard partnership briefing, the BAK team stayed on an extra day to help us shoot some installation video for their Revolver X2 cover. The below photo with Chris and In the Garage host Stephen Fillers is a sneak peek of some of the footage. 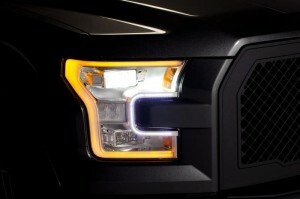 Stay tuned to our Total Truck Centers YouTube channel for the full release! We’d like to thank Ryan and Chris for taking the time to come out to see us. Without the support of manufacturers like BAK, our program wouldn’t be possible! To grab a BAK topper for your pickup, head on over to your local Total Truck Centers retailer. 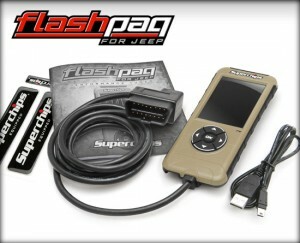 Find an affiliated store using our dealer locator. If you are a truck aftermarket retailer or installer interested in joining the nationwide Total Truck Centers network, click here to get started! 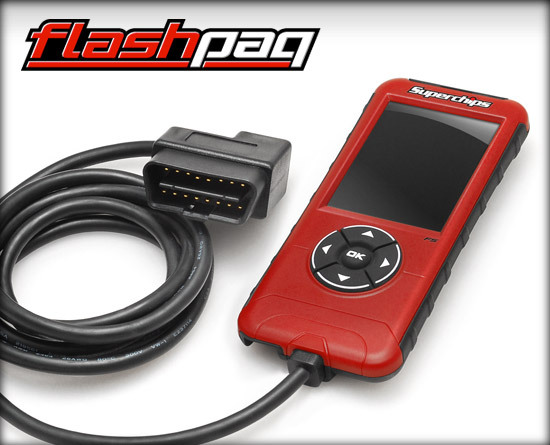 The all-new Flashpaq F5 performance tuner from Superchips uses an updated, easy-to-use graphic interface; a high-resolution color screen; scan features; and tuning levels to achieve more power per dollar than any other tuner on the market. Available for Ford (PN 1845), Chevy/GMC (PN 2845), Dodge/Ram/Chrysler (PN 3845), California Edition (PN 4845), and Jeep (1998-2014 JK: PN 3874 & 2015 JK: PN 3876). K&N’s 57-2583 50-state, street-legal air intake system for 2011-2014 Ford F-150 3.5L EcoBoost pickups provides guaranteed increases in horsepower and torque. 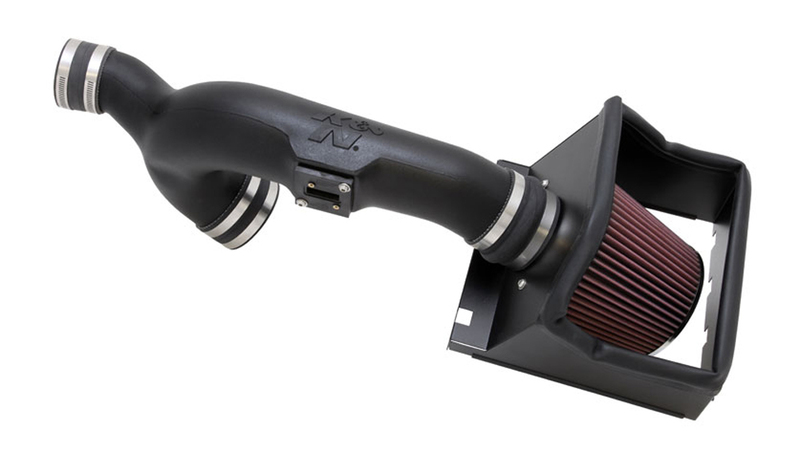 It features a roto-molded, high-density polyethylene (HDPE) air intake tube attached to a large, reusable, high-flow K&N air filter and an application-specific heat shield to deflect engine heat away from the air inlet. The HDPE air intake tube allows for increased flexibility in design and manufacturing as well as the large power gains. Putco’s SwitchBack LED DayLiners feature high-power COB (chip on board) LEDs embedded into CNC-trimmed aluminum for an attractive accent day or night. Plus, they features Putco’s new channel light style! 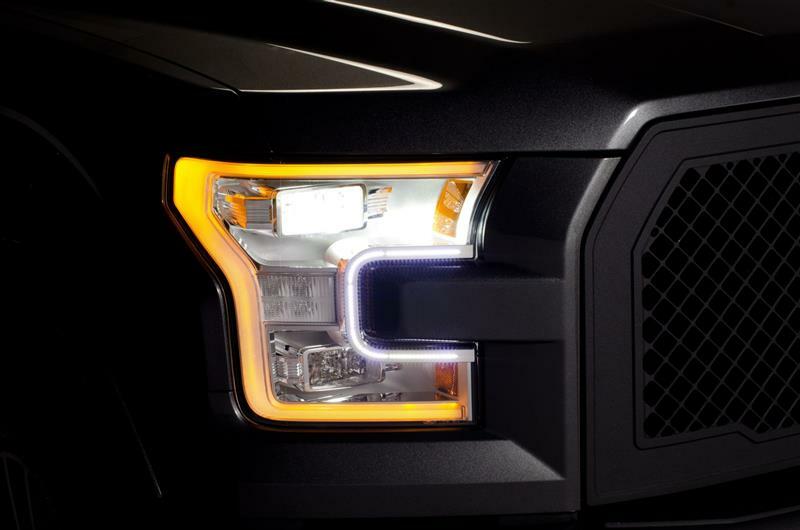 Using your vehicle’s daytime running light and turn signal switches, SwitchBack DayLiners are application specific and affix to your headlamps via preapplied 3M automotive tape. Each kit includes 5′ of wire and scotch lock clips for easy wiring into your daytime running lamps or low-beam light assembly. Made in the USA and also available in black. <p>Putco’s SwitchBack LED DayLiners feature high-power COB (chip on board) LEDs embedded into CNC-trimmed aluminum for an attractive accent day or night. Plus, they features Putco&#8217;s new channel light style!